Labour and peace are the most important for the Serbs. Through labour we will catch up to those ahead of us and through peace we will get ahead of others in labour. Economic security is the first step and a prerequisite for national security. The politics of Serbia is a politics of peace but we are always ready to let everyone know that Serbia cannot be trampled over and humiliated. A cooperation between the civil society and state institutions is necessary, but it has to be understood that the responsibility for decision-making lies with the institutions and not associations which do not have the essential legitimacy to be involved in the issues of the community. The sector of the civil society as a corrective power must cooperate with thestate in good faith. The civil society in a democratic society with democratic institutions must be content with an advisory role. 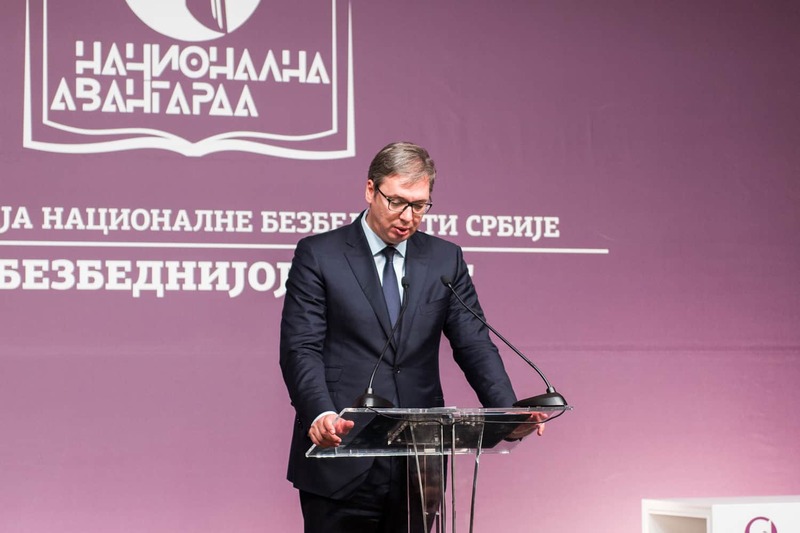 Serbia faces four basic challenges – migrations, terrorism, high-tech crime and the situation in Kosovo and Metohija. There are eight priorities for the public security of the Republic of Serbia: the fight against organized crime, the suppression of drug production and trafficking, corruption, high-tech crime and terrorism, as well as the advancement of the state of public order in traffic and fight against irregular migrations. A huge amount of energy and money has been invested in the operation of the security institutions, wherein salaries have been increased and uniforms, equipment and vehicles restored. 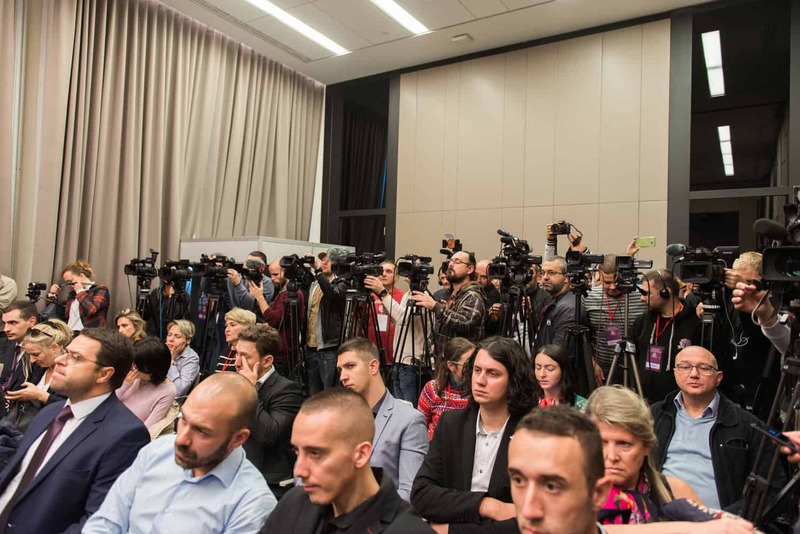 The politics of security is at a high level in Serbia and the USA have assessed that our country is the most secure country in the region, which are not empty words. The awareness of citizens regarding the issues of security needs to be raised. 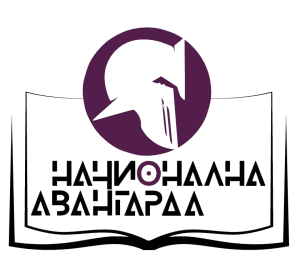 There are over 1000 young people who are receiving their education in security at the University of Belgrade which indicates that a need for further strengthening of the security sector has been recognized. 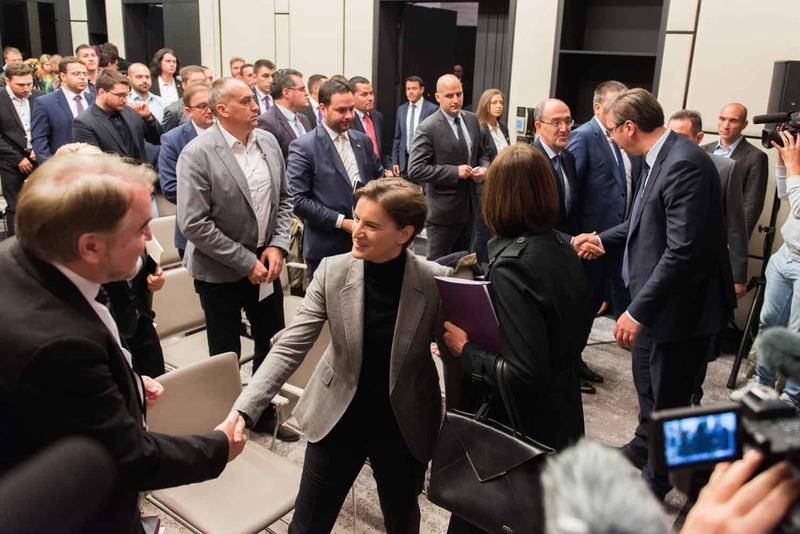 The Serbian security forces are highly reputable which is corroborated by the progress in the EU negotiations regarding the Chapters 23 and 24. The external factor is the biggest challenge for Serbia’s security. The phenomenon of fake news in the social media. A source of insecurity is the crime coming from Montenegro. Some supporters’ groups which can be subject to manipulation also pose a challenge. The significance of cyber security as an important part of the national security has been emphasized. Drug trafficking routes going from Portugal to Europe; which is why the importance of international cooperation has been emphasized and every signed international agreement has been listed. Brutal violation of the international law is the highest threat to peace in the Balkans. 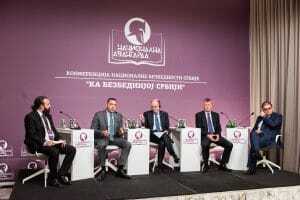 The essential issue of our security, as well as the security of the entire region, is the issue of Greater Albania. If conflicts at the Balkans were to arise this would solely happen due to a violent attempt to resolve the Albanian issue. 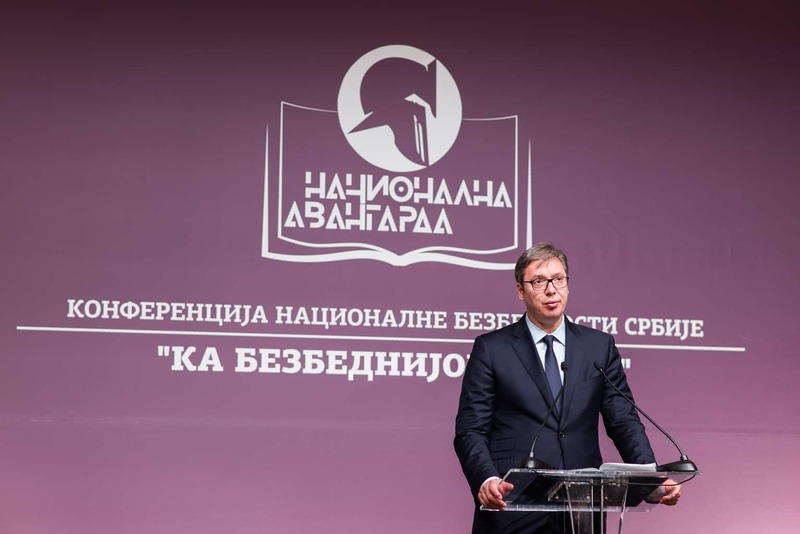 Serbia has an absolutely legitimate right to take care of Serbians no matter where they live, we have both the strength and the right to resolve the Serbian national issue. We have no right to give up on resolving this issue out of fear to arouse anger of the other countries in the region. We are far too small to make decisions on our own but far too big to be allowed to make our own decisions. We should only be led by our own interests. 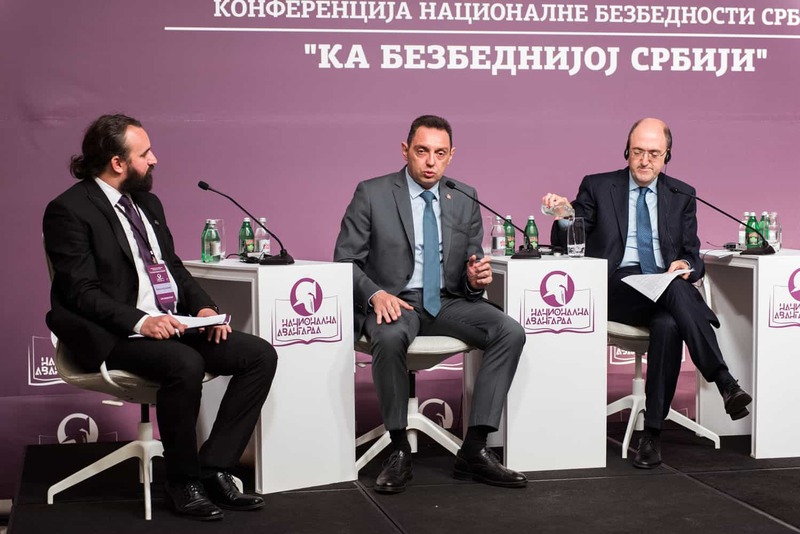 Belgrade is considered to be a crucial factor in the regional stability. It is of utmost importance to continue the dialogue and I am glad Belgrade has definitely decided to do so. The agreement we are striving to will be important not only for the stability of the region but the future of the entire region as well. The United States of America perceive the Albanians as their closest allies. We must put in more effort in the future in order to change this state of affairs. 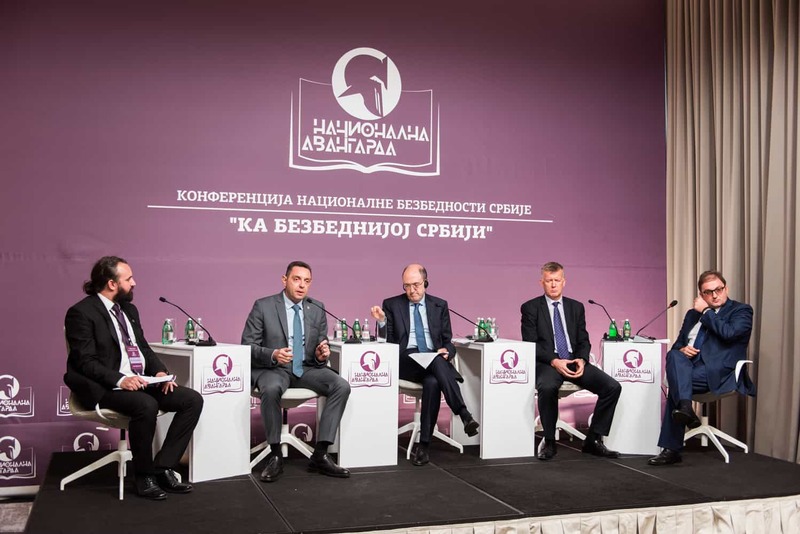 The politics of security of Serbia has only one path – the path of balance and neutrality as Serbia is effectively protected by two factors: its military and political neutrality and international law. 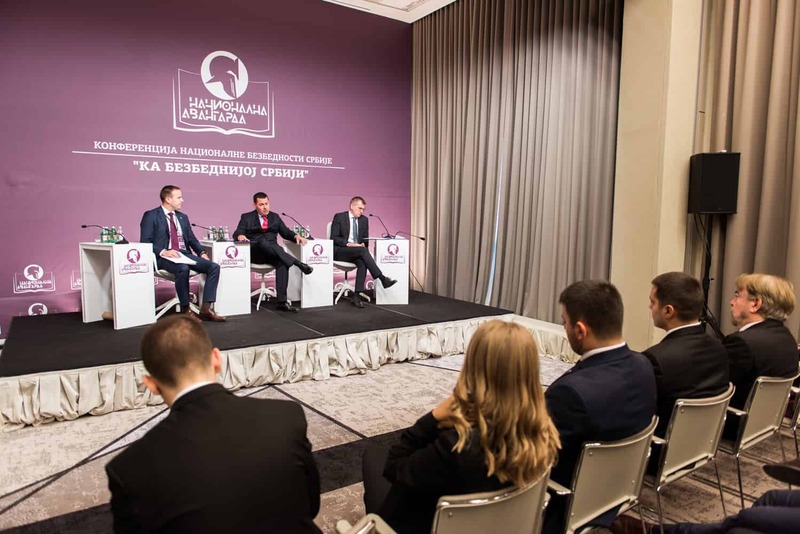 Since 2012, pragmaticity has become the main feature of the foreign policy of the Republic of Serbia. 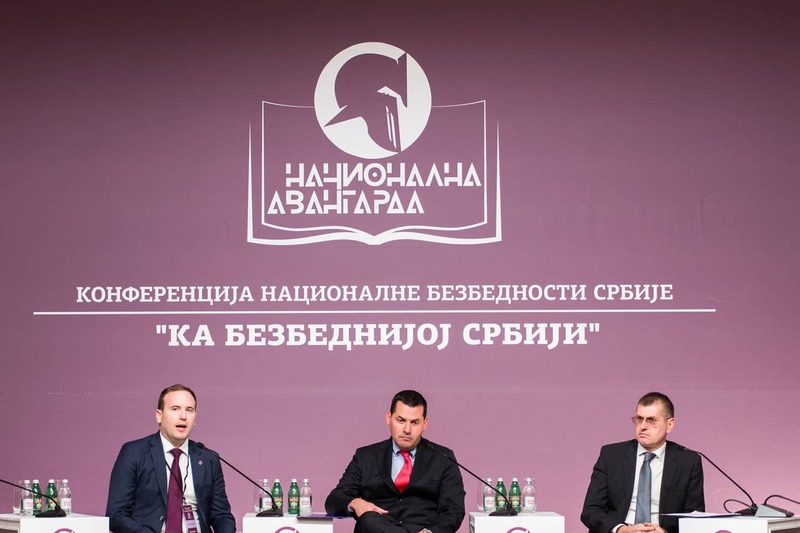 A balanced foreign policy in the relations with the great powers and other countries, as well as military neutrality, represent the basis of the security of Serbia. The economic strengthening of China and the demographic strengthening of India have transformed them into global players, while Russia has recovered from the crisis and it is demonstrating a global presence. Serbia is a factor of stability which is best seen through the cooperation with Hungary and personal relations between President Vučić and the Hungarian Prime Minister Viktor Orbán. Terrorism inspired by Islamic radicalism represents a new phenomenon which has an international reach. The Islamic State has raised terrorism to a higher level. There are more foreign investors doing business in Serbia than in all the other countries from the region combined, while the unemployment rate has been drastically reduced. Serbia is a constructive factor in all the international organizations, we have not turned our back to Russia and we have become a strategic partner to China; we are maintaining relations with all the global actors, we are staying on the path towards European integrations and striving towards military neutrality, while developing good partnering relations with Israel on one hand, and the Arab countries on the other. Together with partnering services, Serbia is successfully working on reducing crime and risks to a minimum. In the last 5 years, INTERPOL has perceived Serbia as one of top ten most desirable partners. A more direct cooperation with the citizens will be established by getting police officers back to local communities.